Non-profit organizations specializing in protecting public lands need a partnership with an insurance provider to ensure they are protected from many different risks. 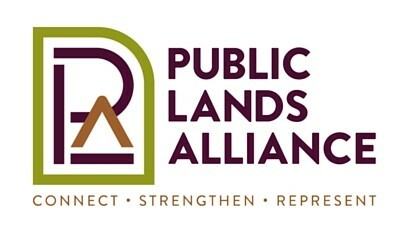 As the designated provider of insurance services for the Public Lands Alliance, we can develop a comprehensive, tailor-made solution that will decrease your organization’s risk exposure. Our process consists of examining your organization, identifying areas of risks, and suggesting products that will increase your chances of surviving lawsuits, injuries, and other risks that threaten your organization’s business revenues. Low-Cost Volunteer Accident Coverage for Public Lands Alliance Members – Many people donate their time and effort to help public lands through volunteer projects and special events managed by Alliance nonprofit members. What happens if a volunteer gets hurt during one of these events? Most states do not recognize volunteers under your nonprofit’s Workers’ Compensation coverage, and General Liability policies only provide very small limits for medical payments. The Volunteer Accident Program, offered through the Alliance’s insurance partner, MDP Programs, fills that void by providing coverage for accidental death, dismemberment, and excess medical payments. With annual premiums starting at just $250, this low-cost coverage is a necessity for any organization that uses volunteer labor. Your work is invaluable and we want you to continue your mission regardless of what risks it faces. Partner with us, so that we can protect you while you are protecting our public lands. Contact our office and speak with a licensed professional about the services we can offer your non-profit today.